The issue of water pH, alkaline versus acidic water is important and very popular these days in the alternative health community. There are quite a few astonishing health claims being made about alkaline water that are important for us to follow up on. The most important function of alkaline water is to increase bicarbonates in the blood because we lose bicarbonates as we age. The change of pH value causes the stomach to produce hydrochloric acid that enters the stomach, and the bicarbonates enter the bloodstream. When we say that we alkalize our body, we don’t necessarily mean increasing our saliva pH or urine pH; it means increasing the bicarbonates in our blood. The blood pH does not change, but the ability of our blood to neutralize acid in the body increases quite dramatically. In the January/February 2003 issue of American Industrial Hygiene Association Journal, Dr. Gospodinka R. Pradova published the result of a 10-year study of industrial pollution in Bulgaria. The study compares two groups of people in a plastic manufacturing plant: one group working in the plant with chemical pollution, the other in the non-polluted office environment of the same company. The conclusion shows that people living/working in a polluted environment have fewer amounts of bicarbonates in their blood than people working in a clean environment. We live in a world that was changed from an agricultural environment to an industrial environment, which produces more pollution. Our stressful life-styles create more acid, which causes us to use up more bicarbonate. The medical society considers the reduction of bicarbonates in the blood as an inevitable fact of aging. I and other doctors argue that the reduction of bicarbonates in the blood is the cause of aging and diseases, not the result of aging. As long as we can replenish bicarbonates in the blood, we don’t have to age so fast. Since bicarbonates enter the bloodstream only when the stomach produces hydrochloric acid, it is important that we drink as much mineral rich alkaline water as possible. On an empty stomach, the stomach pH value may be high but the amount (volume) of hydrochloric acid in the stomach is small; therefore, drinking high pH (9.5 to 10) alkaline water will raise the stomach pH relatively high. That may cause the stomach to produce more hydrochloric acid, allowing more bicarbonates to enter the bloodstream. Magnesium researchers have long maintained that magnesium’s roles (including calcium regulation) can only be fully utilized when the body is adequately hydrated. The importance of water in the body cannot be understated for adjusting pH balance, carrying toxic elements out of the body, and for full utilization of minerals in ATP energy production. With insufficient cellular hydration, there is only a limited amount of magnesium mineral uptake and utilization achievable, which is not enough to quench the body’s needs unless more water is taken in. But when dehydration continues, more cortisone and histamine are released exacerbating inflammatory response, and therefore more free calcium. Like water we need magnesium every day. There is an eternal need for magnesium as well as water and when magnesium is present in water life and health are enhanced. The human body tends to be acidic because our diet is comprised of cooked foods, pasteurized or otherwise processed foods. Acidity in the body is the root cause of many ailments, some chronic. Soft drinks are the most acidic substance a person can put sinto their body. This acidic condition is very unhealthy. Before the age of alkaline water machines, the only way to combat acidity was to eat high alkaline foods like raw fruits and vegetables. Many find this type of diet to be difficult, if not impossible to achieve. Since our body is about 80% water, consuming alkaline water is a much simpler way to achieve an ideal pH balance in the body. Increases CO2 and bicarbonate concentrations in the blood. Drinking high alkaline magnesium/bicarbonate water increases digestion and nutrient absorption increasing energy levels as well as detoxification of the cells. 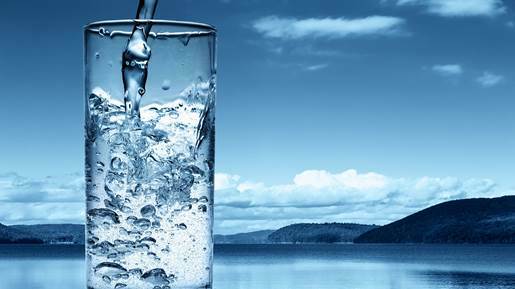 One of the main functions of water is to carry harmful acidic waste products; but, with the accumulation of acidic waste from polluted air, water, and food, combined with the normal toxins created by the metabolic processes of the human body, we are finding it harder and harder to maintain the proper pH balance for health. When demineralized or distilled water is ingested, the intestine has to add electrolytes (mineral ions such as potassium and sodium) to this water first. Hence it would take minerals away from the body reserves. As our bodies always eliminate fluid (urine or sweat) together with salts, intake of demineralized or distilled water results in dilution of the electrolytes dissolved in the body water. 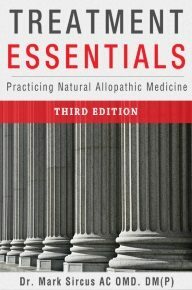 Water Medicine is different from other water books in that it is not just about water but what is in it. The water industry has been busy on the filtering end but because the backbone of the industry was identified with reverse osmosis and distilled water minerals got passed into the back room of importance. Not sure how many have been hurt in the process but just the contribution to accumulating magnesium deficiencies is telling and countable in terms of numbers of increased sudden death by heart failure. Hi, I'm Dr. Mark Sircus, AC., OMD, DM (P), a doctor and writer of more than 23 books that have sold over 80,000 copies all over the world. 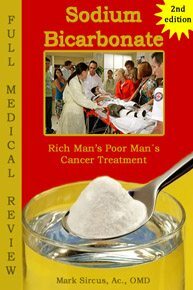 My best-selling book is "Sodium Bicarbonate: Rich Man's Poor Man's Cancer Treatment" which has been translated into Chinese, Russian and Spanish.